Now that the NFL Draft is complete, players are looking ahead to the 2008 regular season. The Vikings this week released some key dates for this year’s training camp in Mankato. Players will report on July 23rd with their first practice on July 25th. 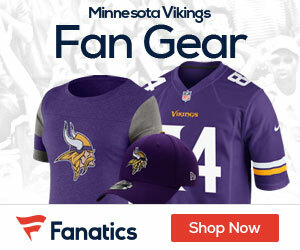 The preseason kicks off with a game against the Seahawks at the Metrodome on August 8th. The Vikings will break camp in Mankato on August 15th and resume practice at Winter Park on August 18th.